Attorney general says the two former presidents and allies in their leftist party embezzled around $500 million. Brazil’s attorney general on Tuesday accused former presidents Luiz Inácio Lula da Silva and Dilma Rousseff and some of their political allies of embezzling around $500 million between 2002 and 2016, a period encompassing all of the leftist party’s 13 years in power. Attorney General Rodrigo Janot said that during Mr. da Silva’s and Ms. Rousseff’s terms, the suspects, all members of the Workers’ Party, or PT, used state-run companies to pocket taxpayer money. 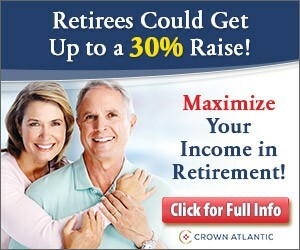 Mr. Janot’s office said in a press release that the alleged scheme cost at least $9 billion to public coffers. Mr. Janot sent the charges to the Supreme Court, which has an undefined amount of time to either accept or dismiss them before any trial is launched. Brazilian ex-presidents accused of forming criminal group. Mr Janot said that Lula was the head of the alleged organization, and that the Workers’ Party received some $480m (£370m) in bribes in several public entities, including Petrobras and the Brazilian National Development Bank (BNDES). The scheme allegedly started with Lula’s victorious election campaign in 2002 and ended when Ms Rousseff was impeached last year, Mr Janot added in a 230-page document. Dilma says there’s no evidence. Lula’s running for president next year, if his appeal against a corruption conviction is successful. The BBC has Brazil corruption scandals: All you need to know. It’s clearly not all you need to know, since not only are entire books being written on the subject, the Beeb forgot to mention that the Federal Police shut down the Lava Jato task force, for instance, and Odebrecht is almost a second thought. But the article is OK as a beginner’s guide to Brazil corruption, the way comic books used to be an introduction to classic novels like, say, War and Peace. 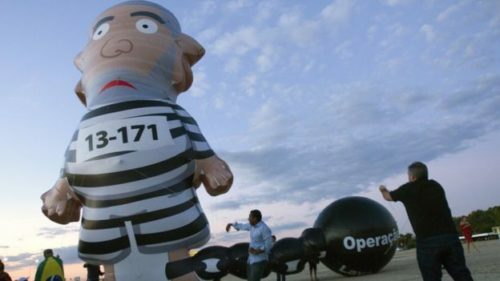 I’ve been posting on Odebrecht and Lava Jato for years, but the extent of the corruption is such that by now it is safe to say that Brazil’s corruption is second to none. If you can read Portuguese and have hours to spare, browse through O Globo’s Lava Jato section. It is an object lesson on the corruption big government brings about. Brazil’s Federal Police announced this week that it would shut down a crusading anticorruption task force, drawing a rebuke from prosecutors who warned the move could throttle investigations that have exposed systemic corruption among the country’s political and business elites. The decision comes as President Michel Temer, who is among the politicians facing criminal charges stemming from the unit’s work, is scrambling to shore up support among lawmakers to avoid trial over bribery allegations. Task force members, Brazil’s national association of prosecutors and the federation of Federal Police call it “a clear setback,” which is quite the understatement when you consider that Lava Jato investigators have recovered more than US$3 billion so far, and they were not done. In more bad news, Venezuelan drug lords are using the port of Santos, Brazil, to ship meth and cocaine to Europe via Guinea Bissau, Nigeria and Ivory Coast in Africa. Lula got a 10-year prison sentence. Will he do time in jail? Lula is facing five charges related to the Car Wash scandal, a three-year investigation that has embroiled more than 100 politicians. If convicted, he could face jail. If he gets off, he could return to the presidency in the 2018 elections. Lula will give his testimony at a court in the southern city of Curitiba, where hundreds of his red-shirted supporters have been gathering to protest. O Globo has live coverage. A Brazilian judge ordered on Tuesday that the institute founded by former President Luiz Inacio Lula da Silva suspend its operations. The prosecutors leading Brazil’s “Car Wash” anticorruption investigation have vowed to push ahead with the probe despite a new bill that they say limits their ability to do their jobs. Part of the fun of following Latin American news is that they are stranger than fiction. For instance, I first came across this headline at Panam post: Former Brazilian President Lula “Prepared” To Run Again in 2018. They, in turn, got it from El Nuevo Herald: Lula dice estar “preparado” a ser candidato presidencial en 2018. 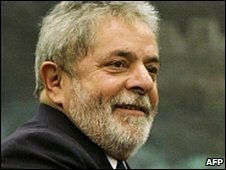 Lula is under investigation in connection with the Lava Jato operation. One investigation is allegedly claims that payments were made for a former Petrobras director’s silence; another is for Operation Zelotes, a framework that favored companies that did not pay taxes, as well as an investigation into influence peddling, and finally for money laundering which allegedly included an apartment on the coast Of Sao Paulo as one of the inducements. Likewise, Lula is accused of participating in the project of rerouting between 2% and 3% of the value of the contracts signed between state-owned Petrobras and the construction company Odebrecht. Let’s hope the Brazilian people stay the course fighting corruption and don’t get Lula back on the campaign trail. Former Odebrecht Organization CEO Marcelo Odebrecht (whose grandfather Norberto founded the company in 1944) presented Judge Sergio Moro documents showing payments totaling nearly US$5 million to Luiz Inácio Lula da Silva, reports Infobae (link in Spanish). 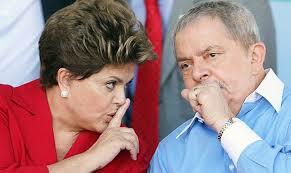 The payments were made in 2012-2013 through Dilma Rousseff’s right-hand man, Antonio Palocci, who is under trial. Marcelo Odebrecht, who has been in jail since 2015, reportedly provided the documents in hope of a reduced sentence, according to Infobae. Justice Edson Fachin, who is overseeing cases in Brazil’s high court related to the country’s sprawling Operation Car Wash probe, has given permission for prosecutors to open investigations into at least eight ministers, the leaders of both houses of Congress, and more than 50 senators and federal deputies, according to a document from the court released Tuesday. The Car Wash investigation, which centers on bid-rigging at the state-controlled oil company Petróleo Brasileiro SA, or Petrobras, has led to more than 100 convictions over the past three years and implicated some of the country’s most influential businessmen and politicians of all major parties. If you are keeping count, in 2016 Lula was indicted five times on corruption-related charges.